As I sat watching Wales front up to the All Blacks in an epic first half of rugby, then England play the Wallabies and finally the Irish challenge the Boks, I had a very real sense of déjà vu. Somewhere, somehow I had seen this all before. It was in 1970, when a team of scrappy no-hopers, a bunch of miners, farmers, and policemen called Griquas somehow progressed to the Currie Cup final and had to face the enormously powerful Northern Transvaal team in the game to decide who kept the trophy. Everyone, but everyone, predicted a walkover, with Northern Transvaal officials already shuffling the items of their trophy shelf to make room for the Currie Cup. Very few, mostly thoe who had loyal roots in the Northern Cape, gave Griquas any chance at all. It was a famous victory! That Griquas side showed enormous guts, determination and huge commitment. They deserved to win the cup. It was the day of the underdog! Have no doubt that England deserved to knock over the second ranked team in the world, Australia. Have no doubt that Wales gave the number one side in world rugby one massive fright in that first half on Saturday. Have no doubt that the scrappy Irish deserved their win at Newlands. And all three test matches produced a very similar picture. Teams from north of the equator who were better prepared, better motivated, and in better form than the big three from down south. Two from the north prevailed, while the All Blacks had to dig deep into their experienced ranks to pull this one from the fire. In the end the All Blacks had enough to pull the game from the fire, the other two southern teams showed their relative youth and inexperience. The first weekend of June Test Match Rugby is a thing of the past. The northern hemisphere is loudly celebrating the weekend’s results, while there is much to think about down south. In South Africa particularly, there is the usual gnashing of teeth, tearing of hair, angry purple faces and demands for wholesale changes to the team that lost to Ireland. The South African public simply does not tolerate any loss by their national side and is very quick to unsheathe the knives and turn on their own team. Someone has to shoulder the blame and be held to account! It is a South African thing. I always believe that one should let the dust settle, the emotions subside and the tears dry before one does a full analysis of any game. The cold light of dawn is the right time, and a quiet corner away from distractions is the right place. It is time to ponder and analyse – it is time to think through things and figure out what went wrong and what went right. Forget who is to blame. The “Blame Game” belongs in the pubs and around the braai fires. Find solutions rather than retribution. Rather find out where it went wrong, and fix it! When I sit down to analyse a game, I always start by looking at some of the match statistics, they make interesting reading and give some very good indicators of where things went wrong. The most obvious starting point is the score. 26 to 20 for Ireland. Both Ireland and South Africa scored 2 tries, all were converted. The difference between the two teams is thus found in the Irish converting 3 penalty goals to South Africa’s 2, and then there was Paddy Jackson’s drop goal. Possession stats show that South Africa had the ball for 56% of the game and the Irish just 44%. South Africa also enjoyed territorial advantage 57% to 43%. So there is an indication that something went wrong while South Africa had the ball! We shall dig a bit deeper into this aspect in a moment. South Africa carried the ball 141 times, to the Irish’s mere 93. The Boks carried the ball 48 more times than their opponents! They beat 19 defenders in the process, while the Irish managed to beat just 9 defenders when they had the ball in hand. 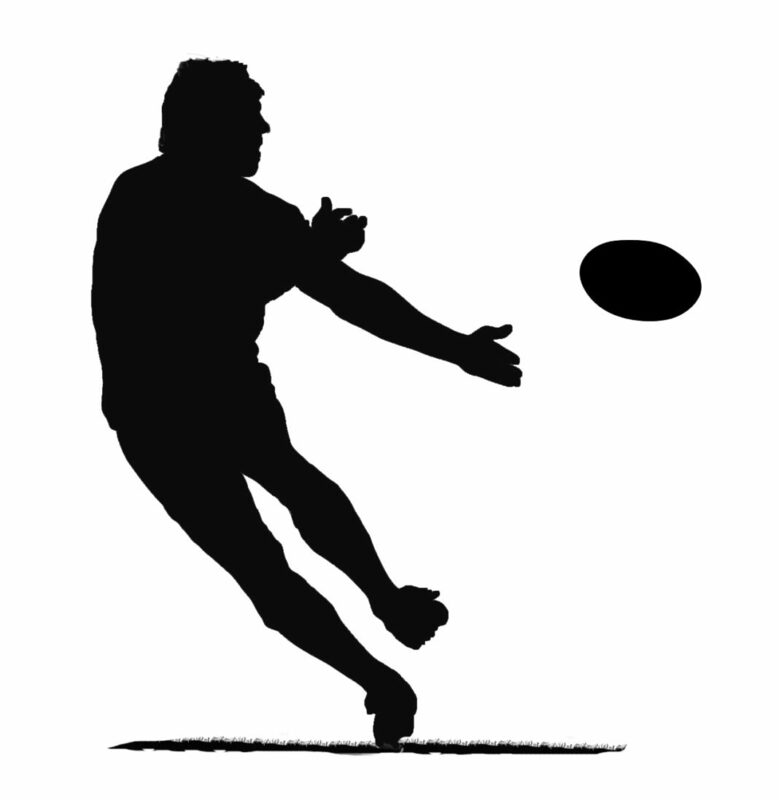 The Boks also ran with the ball for a total of 585 meters, while the men from Ireland ran just 280 meters. South Africa ran the ball 305 meters further than the Irish! South Africa made 204 passes to the Irish’s 117. There were 8 South African offloads to 5 by the Irish. South Africa kicked the ball from hand 14 times, the Irish kicked it 24 times. All those stats suggest that South Africa should have run away with the game. But when we start to dig deeper we find a host of problems. The South African backs made just 7 clean breaks with all that possession! The Irish managed 9 despite having far less ball. South Africa made 22 handling errors, to just 6 by the Irish!! And then South Africa conceded 10 penalties to the Irish 8. Some other statistics can be considered, but many are irrelevant to the consideration of what is broken and needs to be fixed. South Africa made 90 tackles, and missed 9, the Irish were forced to make 147 tackles, and missed 19. The Boks won 15 lineouts on their own throw and lost 1, while the Irish won just 10 and conceded 3. In the scrums the Irish conceded 2 tightheads, South Africa none. So what do the stats tell us? Firstly, South Africa had all the ball and the territory that any team could hope for in a test match. They were committed to a running game, running in preference to kicking, making 305 meters more than their opponents. They carried the ball a lot, they made the meters, they passed the ball a lot. The reality is they made very little progress with the ball in hand! Once Pat Lambie was stretchered off the backline seemed to stutter and stumble, drifting sideways with the ball in hand, and squeezing the outside backs up against the touchline. Close analysis of Elton Jantjies’s game showed a tendency to hesitate with the ball, something he has not done all season in Super Rugby, and then he was turning towards his backs to give shovel passes rather than the lateral passes he usually does so well. The first effect is to start the backline drifting as they get the ball from a flyhalf who has turned towards them. The second effect is the ball is released that fraction of a second slower than usual. These are all issues that can be fixed in one or two training sessions. I am guessing Jantjies was a little rusty after time off with injury, and that the injury to his hand was playing on his subconscious. It is just a confidence thing. A second issue that needs serious remedial action is the lack of a Plan B when Plan A was not working. There was not even a Plan A.2. The Irish quickly worked out that South Africa were intent on running with every ball. There was very little tactical kicking for territory and almost zero tactical kicking on the attack – no chips over the onrushing Irish defence, and no proper grubbers to turn the Irish around. This gave the Irish the nod to get up into the Bok faces a quickly as possible and to run interference between Bok support runners. They did not need to cover behind the “gain” line. Perhaps it was the new coach’s strategy to play to just one Plan? Perhaps it was a replacement flyhalf who had not run the backline practices? Certainly though, it was a naïve and thoughtless approach. Although the Irish had most of the possession the first quarter, the Bok backs looked better organised during the time Lambie was on the field. Once he had been replaced they seemed to miss his quiet authority. Poor decision making, schoolboy errors, inaccuracy with the ball in hand, imprecision in running lines, and erratic execution meant the Boks could not capitalize on their surfeit of possession and territory, and that crucial extra man! Poor discipline (10 penalties) and an excruciating number of handling errors, 22 of them, tell a story of a team that was completely out of sorts and hugely ring-rusty. This was an outfit short of an awful lot of ball play! Ball skills need to be sharpened, handling errors minimized, running lines corrected, and the freedom to make instant decisions must be emphasized. I have no doubt this is a team with all the necessary talent, but it needs to be polished and give the freedom to play. There must be some variety in the game plan. A problem that needs a lot of thought is the lack of control on the ground. When you concede 9 turnovers and win just one on the ground, there is something wrong with your team’s ball fetching skills and commitment. Duane Vermeulen and Francoise Louw have been the steely edge of South Africa’s fetching department for a while now, but something was not working on Saturday. Frans Malherbe is usually a very good back-up in the fetching department yet he was constantly on the wrong side of the referee on Saturday. Damain de Allende has a reputation for being one of the best backs in the world when it comes to winning turnovers – where were these skills on Saturday? Chasing the loose ball is another South African strength, yet the Irish won 15 to South Africa’s 8. Francois Louw has been the Bok stalwart in this department for a couple of years, and he was very good for a while, taking 7 of the loose balls won by South Africa. Once he was subbed the loose ball belonged to Ireland. In their opening match of the season, the Boks looked undercooked and disorganised on both attack and defence. There was lots of pointless enterprise yet a complete lack of vision. Lots of running with the ball, but imprecise running lines and a backline that seemed bereft of ideas and creativity with ball in hand. They had their chances, but always seemed to take the wrong option or ignore the man in space. It seemed to me that this was a team well short of match practice and struggling to gel into a well-drilled outfit. We can point some fingers, perhaps, at the fact that the national coach was only appointed a month ago and had no opportunity to run training camps and clinics, discussion sessions or any other planning sessions. He could not start work on identifying players and combinations until very late in April, almost six months later than any other national coach in the business at the moment. Le Roux is copping a lot of criticism for his game on Saturday. I am not sure that it is all completely fair! He certainly looked to inject himself into the game, but found that he was joining a line that was drifting sideways before he could even join. Yes, he made some silly mistakes, but then there were also some superb moments of vision too. He tried to set up his wings and outside centre for the inside ball, but they persisted in running towards the touchlines. He made some brave catches under the high ball, and made most of his tackles too. Is there an alternative to Le Roux at 15? Some are suggesting Jesse Kriel, yet he has not worn the 15 jersey for almost a year, and in his stint at the back for the Bulls he was sometimes found wanting on defence. A forgettable performance. His penchant for coming inside on the defence leaves the outside running line exposed time and again, especially when there are quicker wings up against him. Made a couple of big tackles, but got turned over with the ball in hand. He looked slow and clumsy on the day. Was overwhelmed by the occasion and the speed with which the Irish shut him down. His hands let him down badly and he never looked as if he would break the line. A day he would rather forget. He needs game time and time to gel with his inside centre partnership. I do not see any alternative pushing for his place except perhaps for Francois Venter, who ran with purpose for the S “A” side, but never looked like passing once he had the ball in his hands. Desperately short of the form that made him the best 12 in Super Rugby last year. His long layoff with injury is showing. On Saturday he looked pedestrian and unimaginative, and nowhere near the player we know he can be. He was hamstrung by receiving the ball from his 10 who was already drifting sideways, forcing him across even further. When he is on form he gives his 13 plenty of room and time to play, but this is missing at the moment. Alternatives? Howard Msini was poor against the Saxons so I do not see any real contenders for the 12 job. The best Bok back on the day. A very good day with the ball in hand, and some superb moments chasing the high kick. Made some good tackles too, not always his strongest suite. Did nothing wrong in his brief stay, but not enough time to really make an impact. Seemed to be in charge and had a calming effect on the entire back division until he went off. Brings a speed of service and quickness to the ball that deserves many more chances in the green and gold. A very good debut despite his greenhorn status. We will see more of him! Alternative? Rudy Paige was pedestrian in comparison. Nobody else is putting their hand up at the moment. Thormeulen looked rusty, especially in the early exchanges, but slowly began to find his feet. Brings much needed physicality to the loose trio, but is off his best. Made very little impact over the ruck ball, usually one of his strengths. Alternative: Warren Whiteley. Problem is that Whiteley is a wide running 8 and does not get involved in chasing the ball on the ground and in the close-in exchanges. Horses for courses – if it is going to be a fast, open game with opponents that run at you, Whiteley is the man, both for his support play and especially for his superlative defence out wide. A ball carrier who is prepared to hit it up in the rough stuff as well as carry it out in the open. Made some very good carries and a couple of superb tackles. Alternative: Jaco Kriel. These two are very similar players, with Kriel perhaps a better defender and Kolisi better out wide. Kriel is the more physical of the two in the rough stuff. Had a quiet game by his own lofty standards, yet he was the only Bok chasing the loose ball. Made some very good tackles but struggled to impose himself over the ruck ball. Alternative: As a fetcher, I cannot think of one. If this was a school report card the teacher would say: “Can do better!” Worked hard, was very physical at times, and then seemed to disappear for long moments. Not up to the standard he set in 2015. Alternative: Perhaps Pieter-Steph du Toit should start? Made sure he worried the Irish at every lineout – took his own ball with ease and stole 3 of theirs. He is the team enforcer and his physicality is very important to the team. His hands were a little wonky, but that was a general team malaise. Alternative: There is no other No 4 lock in the country anywhere near Etzebeth’s mongrel, performance, or skill. Not his usual game in the tight-loose. Earned the referee’s opprobrium when hunting the ball on the ground. Strong in the scrums, good lineout support. A bit pedestrian. Perhaps overwhelmed by his first game as captain of the Boks. Did his job in the lineouts, did his job in the scrums, was essentially invisible in all other phases. A very quite game. Alternatives: Biongi, Scarra, Malcolm – none quite up to his standard. I take back everything I said about the Beast being over the hill. Very good scrummaging, great lineout support, and immense in the loose. Looked very good with the ball in hand. His best game in at least three years! Alternatives: Hmm, not really, if he keeps to this standard of play. Ran on and vanished. He was not as strong as the Beast in the scrums and invisible for the rest of his 21 minutes. Built like the proverbial brick outhouse, he made poor use of his physical attributes. Three minutes is not enough time to be rated. What a gem. Came on with a burst of energy and focus. Cover great swathes of territory. Perhaps he should be given the starting slot? Had a good run, though he is not a natural flanker, nor a ball fetcher, which poses a problem. A classy player in his own way. Did not really make an impact when he took over from Louw. Had ten minutes, and was steady enough, but is no de Klerk and does not have his speed to the ball and quickness of service. Just seemed out of sorts. Could not bring his own considerable attacking game into play. Perhaps he needed time running the back division in practice? He did not let the team down, but was instrumental in causing the backline to drift with the ball in hand. At least he will gain confidence that the hand injury is a thing of the past. No imagination with the ball in hand, and never looked to use tactical kicks to gain territory or force the Irish back on their heels. No Plan B. Only had ten minutes in a lost cause. No opportunities to run with a backline pinned to the touchlines. Did what he was supposed to do, but nothing extra. Not really enough time to be rated. This was a Springbok team that looked decidedly undercooked and out of sorts. There was no evidence of the real teamwork that comes from having played together and learned each other’s strengths and weaknesses. There was zero evidence of any real established game pan. It was all a little unpolished and spur of the moment stuff. Running lines were very amateurish across the entire team, nobody seemed to have an eye for the inside line or inside break, and nobody was running into space to receive passes. Nobody was straightening the line, and nobody was shifting the line of attack. It was all one-way traffic! A complete lack of tactical nous was evident. No tactical kicks into territory, into space, nor to turn the rush defence of the Irish. No evidence of any Plan B to slow the game and pin the Irish back for a while, to gain control and then strike. Nobody took control and stamped their authority on the game. Players seemed unsure of their individual roles in the team. The loss of the vice-captain Lambie and his calm authority was evident, and Adriaan Strauss still has to earn his strips as national captain. There was certainly a leadership issue out on the field of play – this was a team loaded with inexperienced youngsters and not enough old salts that could calm things down and direct the troops. There is much that needs to be fixed in this Bok outfit, yet it is all stuff that is easily fixed! The problem is not a lack of player resources, nor a lack of talent, it is simply a lack of team-work and game time, coupled to a lack of an established game plan. This team is desperately short of time together! It is evident that Allister Coetzee wants his team to run with the ball, and that is hugely pleasing to any supporter, South Africa needs to move into a style of rugby suited to the modern game. This will take time, especially as he has inherited a team with no established game plan or style of play – unlike Pieter de Villiers inheriting Jake White’s troops with the experience, an established leadership group, and an established and proven game plan, and thus a platform to work from. Coetzee has inherited a team which changed game plans three or four times just in the last year, and which no longer boasts the experienced players of the past. And then he was thrown the curve ball of only being appointed a coupe of weeks ago and was afforded zero preparation time with the larger playing squad! Whilst I was very disappointed with the Springbok performance against Ireland, I am not tearing out any hair, nor gnashing my teeth in anger. I was disappointed that the team could not bring more to the field than they did. I guess I expected too much from a team that is perhaps the most inexperienced team to wear the green and gold in the modern era. When Allister Coetzee announced his squad two weeks ago I pointed out the paucity of experience and the lack of international caps in the squad, and it certainly showed on Saturday. The whole squad of 33 had just 551 caps amongst the lot of them when it was read out on TV. 75 of those caps belonged to the Beast, and 50 to Pat Lambie. The bulk of the squad had less than 15 caps each. Compare this with the All Blacks squad at the same time. 851 caps despite having 6 uncapped players in the squad! I believe that this team can, and will, build the necessary teamwork, develop the game plans, and achieve the focus they need to become a winning outfit. It will take time, so do not expect miracles in 2016! However, I do believe we will see some improvement as each week passes!